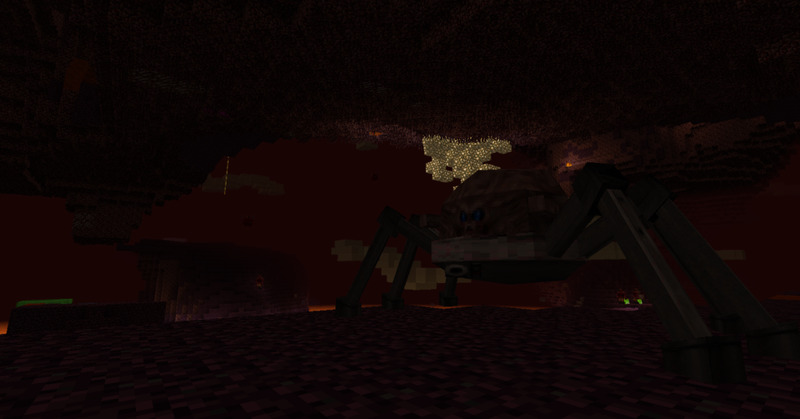 Most Minecraft mods attempt to add in exciting new lands to explore or amazing power to acquire, but sometimes the most interesting ones are those enhance on the game's decorative aspects. Many of these do so by simply adding a ton of new blocks to the game that have no purpose beyond their visual appeal. 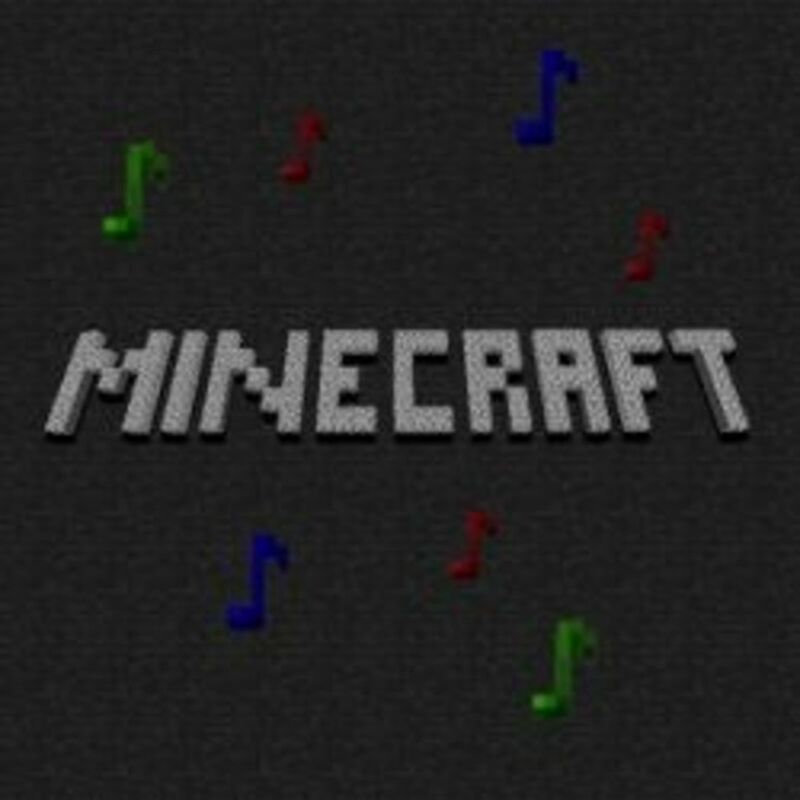 Even if a usable object is added in, most of the time its only purpose will be to trigger a new form of crafting that does not use Minecraft's old recipe system. 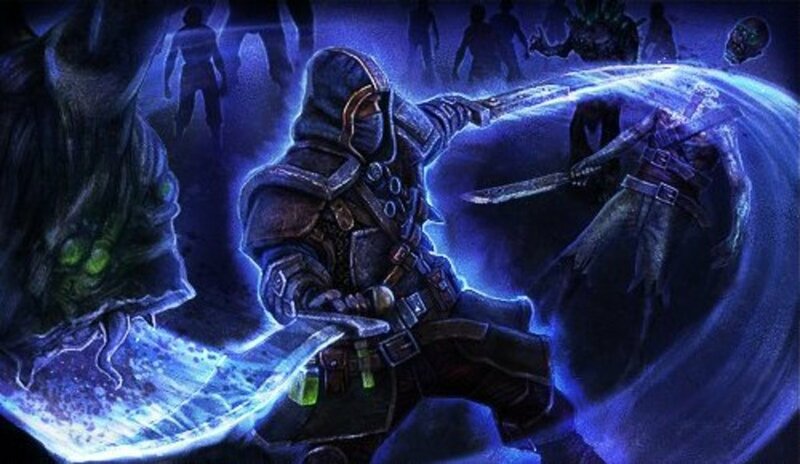 Furthermore, these sorts of mods are generally open in what setting they are intended for, and fit well into modern, science, or fantasy-based worlds. But Ye Gamol Chattels is a little different than normal, it is focused on medieval and fantasy times and has a relatively small number of items, but each object included in the mod is interesting in some way. The grindstone looks great and is quite useful, making it a great addition to any smithy. Probably the simplest and most useful item added by Ye Gamol Chattels is the grindstone, a machine built from a base platform of stone and wood, with a grindstone made of sandstone placed on top. Once built, players will need to activate it several times to make it spin, and then they can right-click on it with a tool or weapon to easily repair that item. This grindstone will visibly wear down after repeated uses, breaking apart and turning into sand, but players can repair the machine by simply constructing another grindstone and placing it on the base. While these repairs are not instant like the two methods that the original game provides, and sometimes require a minute or two for more durable items, it is very easy to make and maintain, works well in any blacksmith's home, and is a much cheaper alternative to standard repair-work. The crafting system in this mod is a lot more hands-on than most, and players will have to saw through wood, wipe the boards down with sandpaper, and then spread linseed oil over them before constructing many of the fancier items. Like grindstone repairs, the three-step wood refining process used to make some of the new goods is much more interactive than normal. 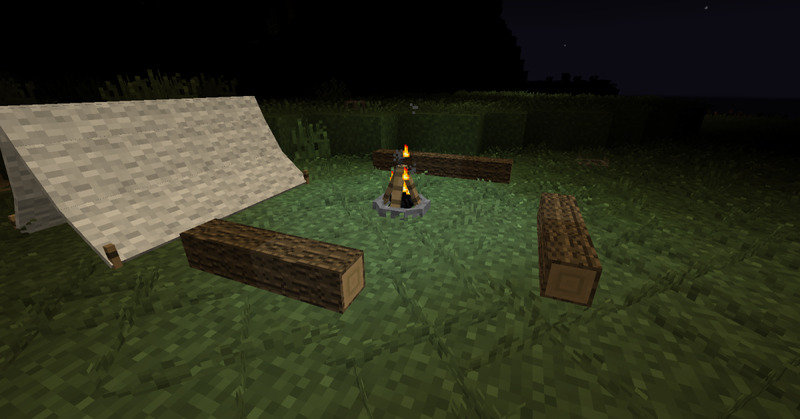 To start refining wood, players will need to build a saw bench and an iron saw, then place a log in the bench and activate it with the saw. 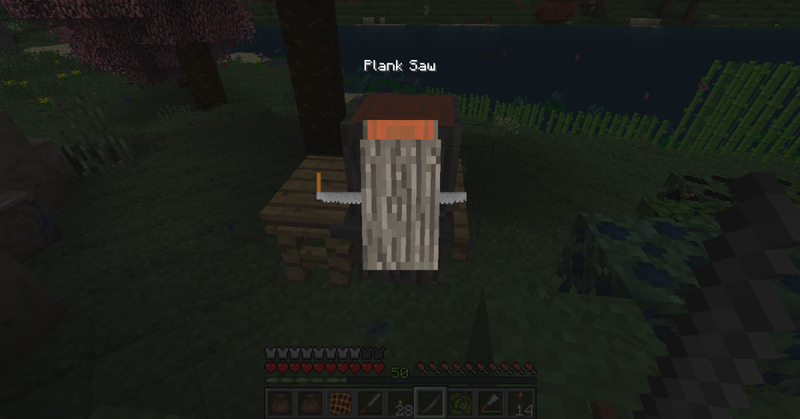 Upon doing so a new interface will open up in which the player directly controls the saw, and by moving it back and forth they can shave special planks off of the log. They must then take these planks and place them on a table press, then manually rub sandpaper over the boards to smooth them out. Finally, players will need to place the smoothed wood back onto the table press, and rub linseed oil over the board. After all of this, players will be left with refined wood that can be used to make all kinds of shelves, closets, and other useful wooden goods. 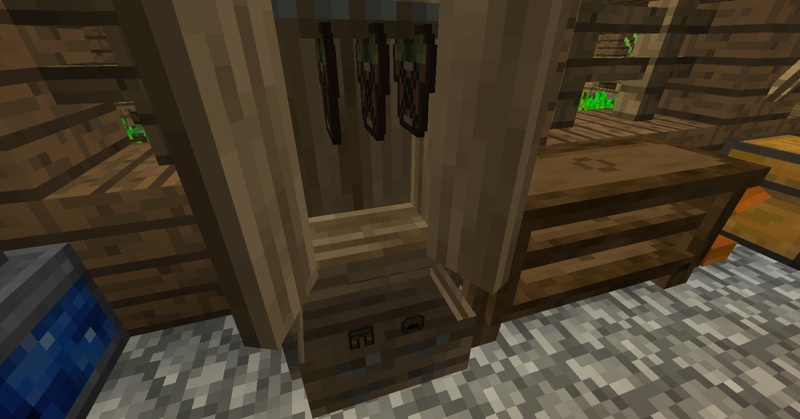 This system is rather cool, and much more unique than most crafting systems, but it cannot be automated, which might frustrate some players. Pedestals can be made out of wood, stone, iron, gold, and diamond, with each type displaying the held item in a showier way than the last. 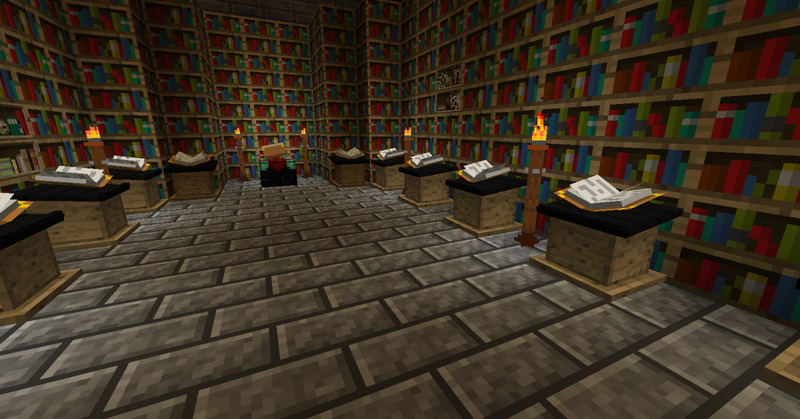 The new shelves and pedestals do not have a user interface, but otherwise work similarly to those added by mods like Bibliocraft, and allow players to easily display any items that they possess. There is a lot of variety to the display items, with some like jamien shelves holding several items at once, while others are built to show only a single item in grand style. Probably the coolest of these displays is the wardrobe, which has two small drawers in the bottom that can be pulled open or closed with a right-click, and can hold shoes, leggings, and helmets, as well as a large cabinet section that allows players to hang all of their chest-pieces along a single rack. There are also loot chests, wall-shelves, weapon racks, and more, and all of these do an excellent job of showcasing the players items. Most objects on these displays will appear in icon format, but some tools like the weapon rack and wardrobe will allow players to show the full-sized item similar to how it would appear when equipped. Wardrobes are a great place to store all outfits, and fit quite well into most player's bedrooms. There are also large and small varieties of flags and banners that can aid those who want to add a bit of style to their castles. Each of these can be dyed in any of the original sixteen dye colors, and doing so can also slightly tweak the style and sometimes the design shown on each item. 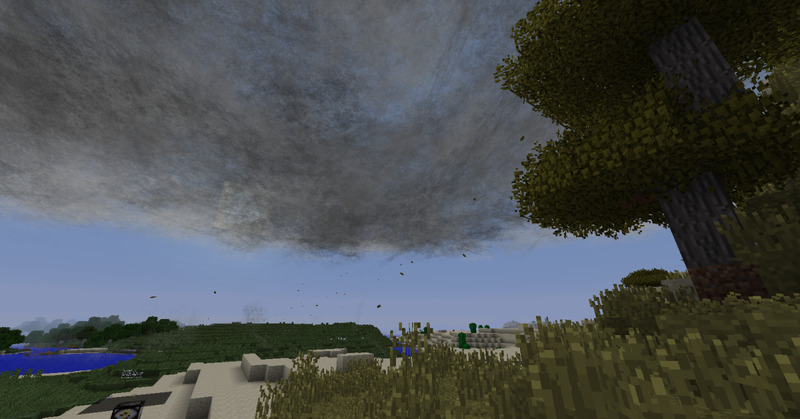 But the best part is that these objects are animated, and can start blowing as if they were effected by the wind. 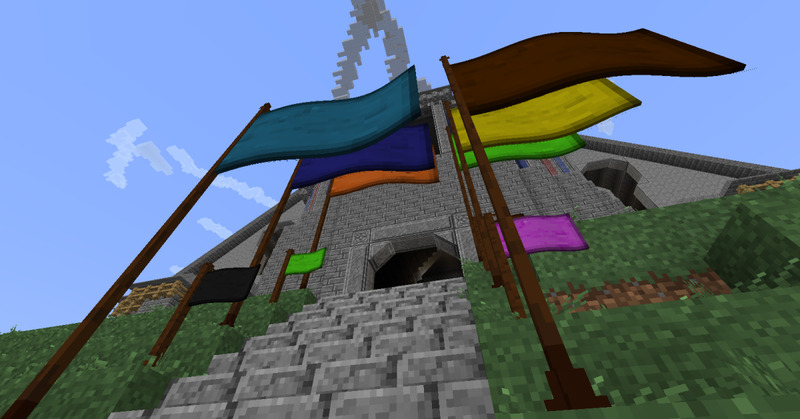 They do at the same time as the other nearby flags and banners, which gives a windy feeling to areas without the need for performance-heavy mods and shaders. Flags are all fully animated, can come in several colors, and every few minutes swap between appearing to blow in the wind and just hanging towards the ground. 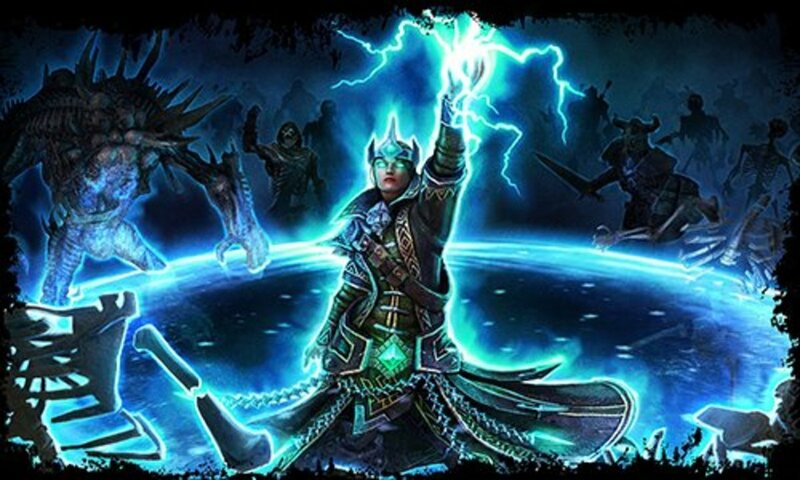 But the most impressive aspect of Ye Gamol Chattels is its statue-creation system. 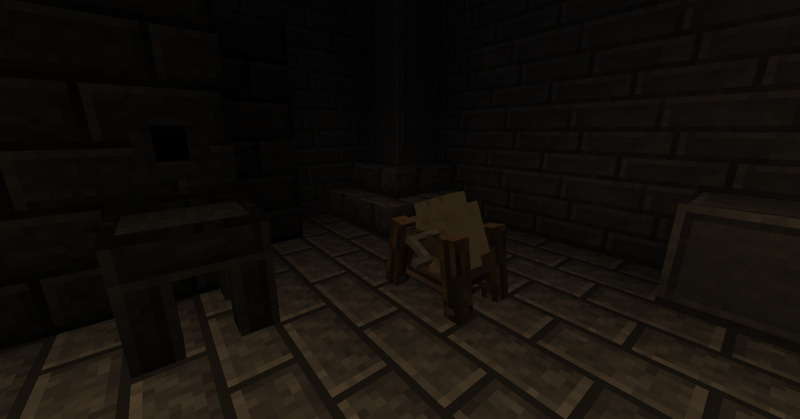 Players who build a club hammer and point chisel can use them to construct statues of any creature from any mod that they have installed. But before they do that they have to slay such beasts and take a rare item from their corpses, a piece of their life force known as a Vita. Once they have that, and a set of blocks as large as the original entity, they can use the point chisel on those blocks to open a special interface where they can insert the Vita and chose which pose the statue takes. That statue can then be created, and will take its coloring from whatever substance was used to create it, even if that material came from another mod. 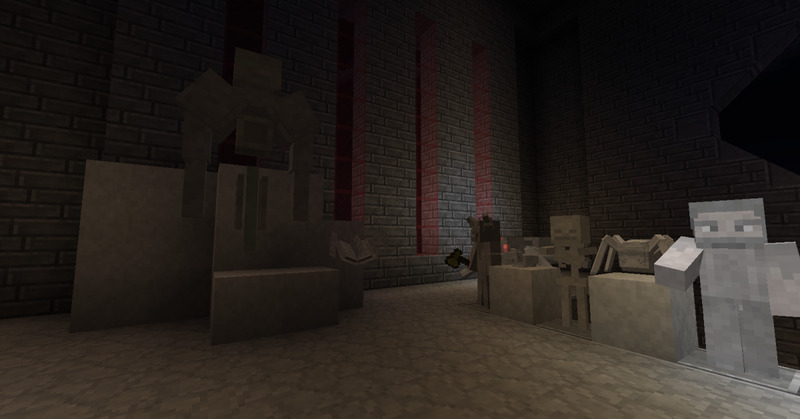 And while these statues can look great, and make a wonderful part of any player's stronghold, their most interesting aspect might be that if they are supplied with a redstone signal they will come to life with all of the strength of the original beast, allowing for some truly deadly traps or hilarious pranks to be constructed. 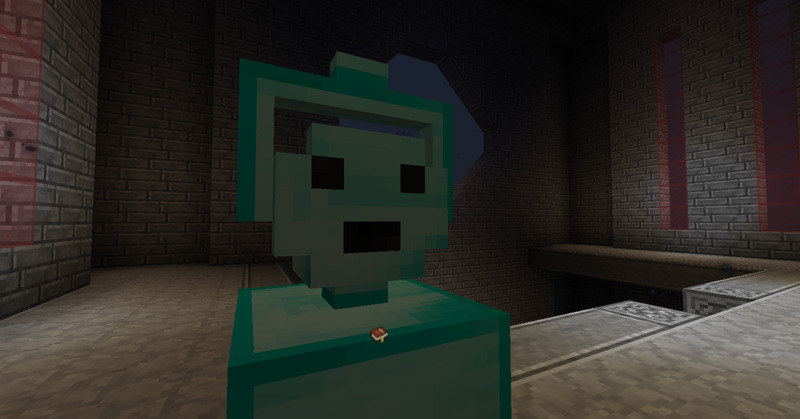 Players can also use the point or carving chisels to pry micro-blocks from any material they have access to. These blocks are less than a hundredth of the size of a normal block, and can be placed wherever the player wishes, allowing for unique statues, interesting frescoes, and other works of pixel art to be constructed. Creative players can use this to build some truly impressive objects, and even those with little artistic talent can construct neat tricks like tight-ropes, nearly-invisible platforms, or other nifty ways to subtly enhance their homes. Artistic players can construct all kinds impressive objects out of microblocks, and even those as artistically challenged as I am can create somewhat recognizable figures with little effort. 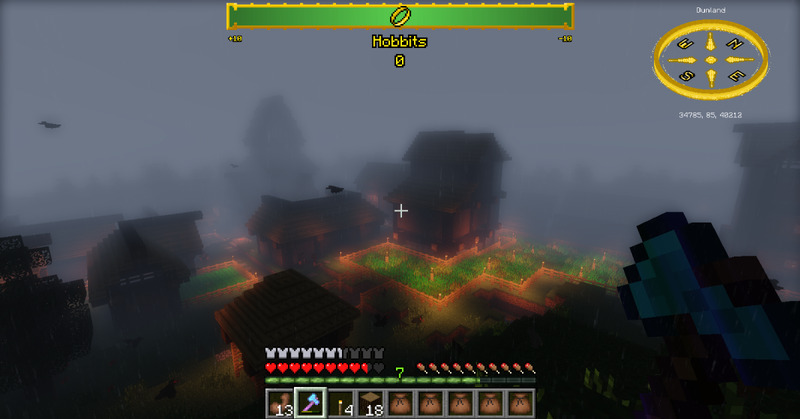 And there are a number of smaller aspects of the mod that can benefit players as well. Fully-animated grandfather clocks can be built from refined wood, and these will not only show the time, but also the phase of the moon. Players can now make piles out of their gold, and these can merge together to create massive and horribly gaudy pyramids. Three sizes of gongs can be built, and each will produce different sounds depending on their size and where they are struck. 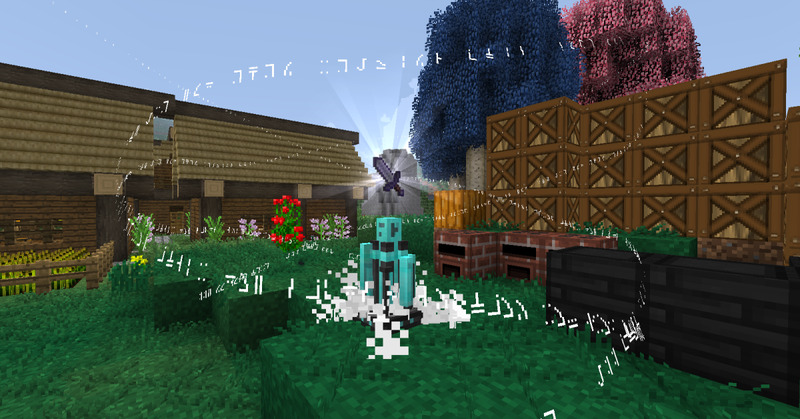 There are also new tiki torches that stand twice as tall as normal lights, allowing players to brighten the area around their home in a far less ugly manner than the torch-spamming style that most Minecraft players have become familiar with. 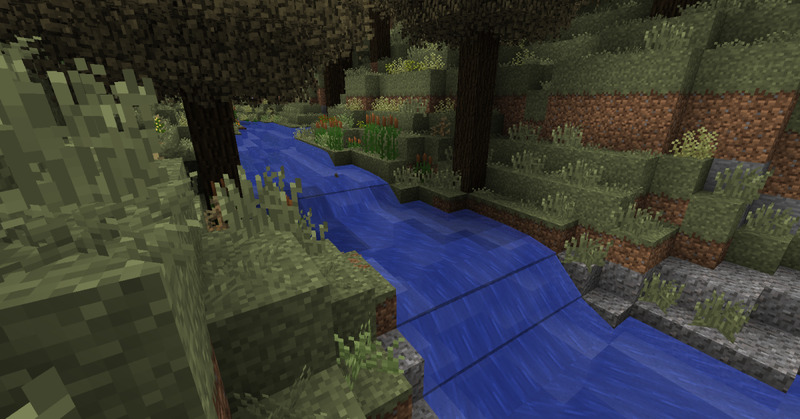 And finally, there are new flax plants can be found in the wild or turned into crops, giving the player access to linseed oil and fibers that can be turned into blocks of wool. 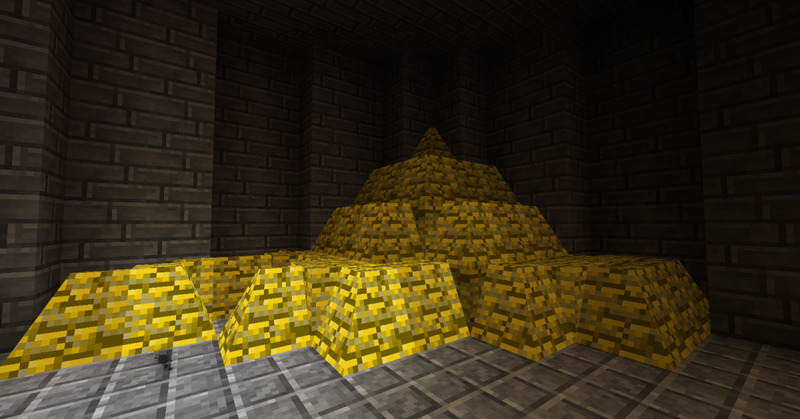 Wealthy players can now build massive piles out of their gold, though there are a few problems with how the sections merge together. Of course, not every part of this mod is perfect. The wood-refining process, while very cool and unique, can get repetitive rather quickly, and since there does not seem to be a way to automate it, this can become a major problem for players who need to decorate towns or large structures. While Vita are moderately rare, the fact that they do not stack at all means that they still clutter up chests and other storage areas. A few items can also seem to hold items oddly, such as weapon shelves sticking the blades halfway through the block next to them, and gold piles can form some rather odd angles when placed in certain patterns. And while there does not seem to be any crashes related to this mod, there are a few very minor bugs such as loot chests turning on their own that might annoy some players. Tiki torches do not necessarily need to be left outside, and can work as excellent candle stands. 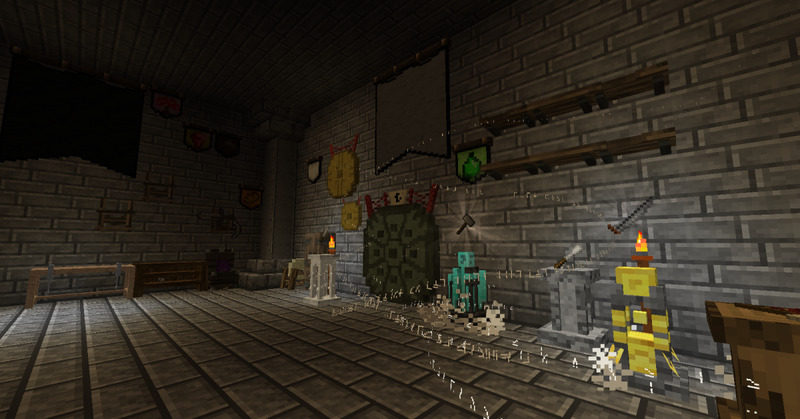 Those willing to tolerate these minor issues will be able to enjoy one of the best medieval-themed decorative mods available for Minecraft. It adds multiple ways to display the player's wealth and the treasures that they have collected, as well as living statues and weapon racks to show their prowess in combat. There are items to help those who simply wish to spice up their home, such as wardrobes, grandfather clocks, and other nice pieces of furniture. Castle and city-builders will love the new banners and flags, and the gongs will fit in perfectly with many oriental-style areas. Farmers will benefit from the new flax plant, creative players will love the micro-blocks, and practically everyone will appreciate the grindstone and its cheap repairs. Ye Gamol Chattels might not be as famous as some of the other decorative mods, but almost everyone will find some part of it that they enjoy. 10/10 mod, would use again.